Great Days of Service is a cooperative effort to improve our town, develop community pride and build positive relationships within our community. 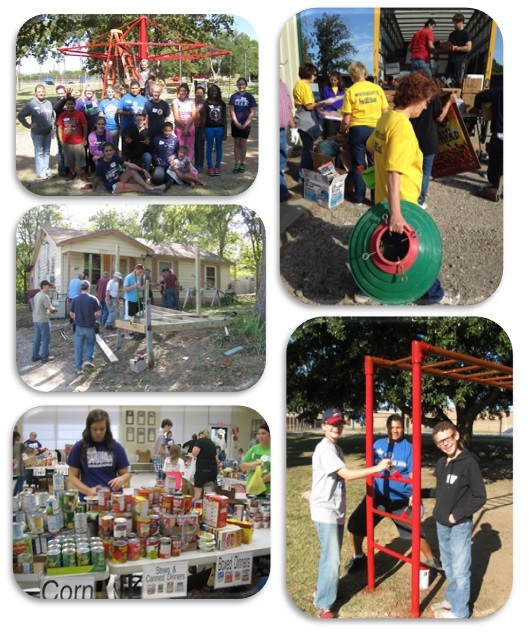 Churches, businesses, civic groups, youth groups, schools and individuals come together to complete service projects. Please register by Oct 1, so that our leadership team can make plans. Register now! Community Clean-up “ help pick up trash around downtown, parks and other public locations; clean up Bailey Inglish Cemetery and Willow Wild Cemetery too! GDS Partners: Time is running out “ if your church, business or other group wants to be an official partner in our Great Days of Service “ click here to read more and let us know as soon as possible!